Whether you've never created an info product before, or you've created dozens and you are still not looking forward to your next one, this manual is for you. Just like anything else, when you have a step-by-step plan to follow, it just makes it so much easier than trying to "wing" it and magically (hopefully, somehow) put together a product people will happily purchase from you. 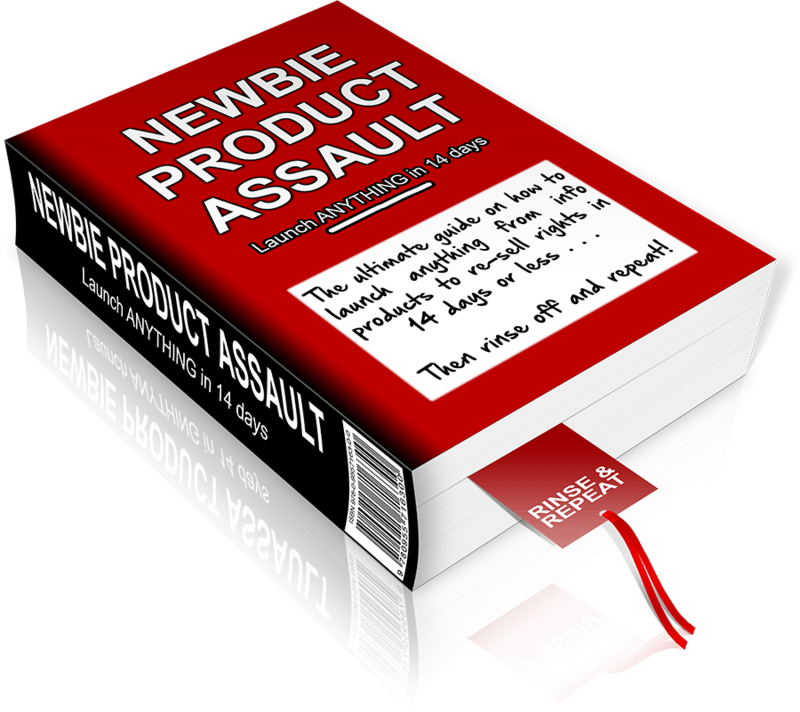 A step-by-step plan is exactly what you'll get when you pick up your copy of Newbie Product Assault today. Unlike a conventional day job, once you have created your product, you will keep getting paid for it for as long as you choose to keep it on the market. 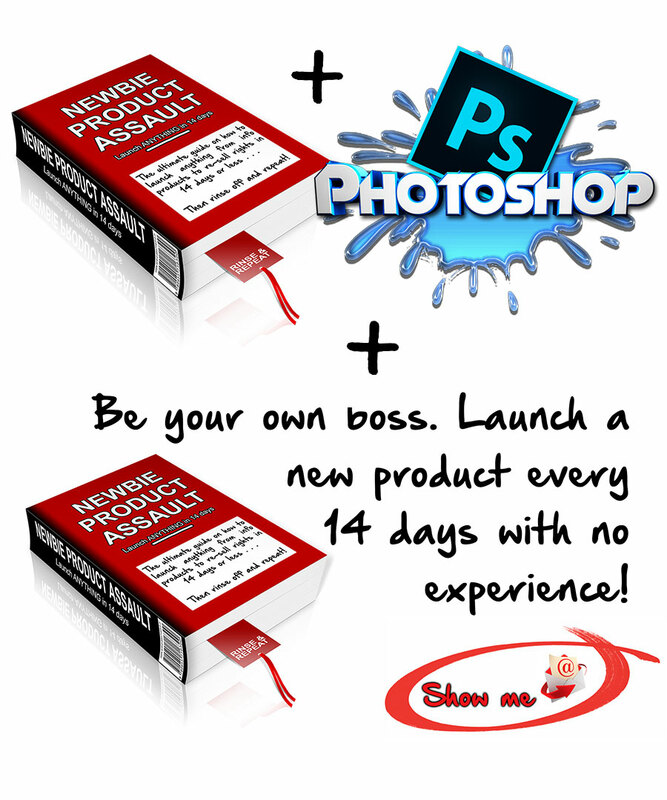 Need a bonus to motivate another sale? No problem, just include one of your products as a bonus. Need a quick income boost? No problem... Do a 48 hour crazy sale. You will still be paid on something you created months or even years ago. What does that mean? 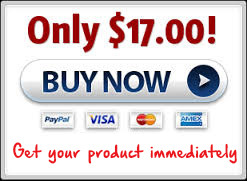 Not only do you get to profit by implementing the step-by-step system we teach you in the manual. You will also get The complete sales material in a mobile friendly design, All product images in Photoshop format as well as a mobile friendly capture page with give away rights. Just think of the loyalty you will build with your subscribers when you send them the full course in installments.